The rapid tournament held in the HiSo Asiatique Riverside bistro, CheckMate, proved a resounding success, with players coming from as far afield as Singapore and India just to take part in the weekend tournament. 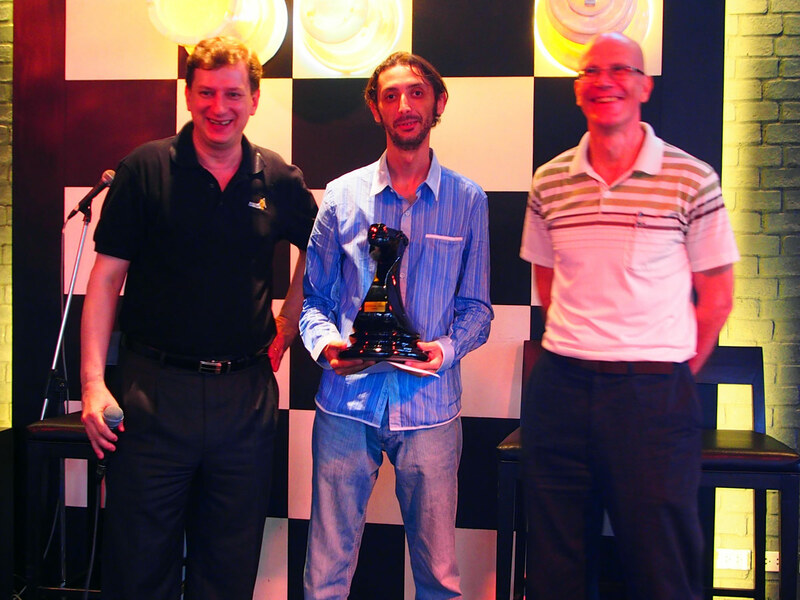 The tournament was won by FIDE Master Riste Menkinoski from Macedonia, with the first prize shared with Deniel Causo, Paul Griffiths and FM Jirapak Pitirotjirathon. 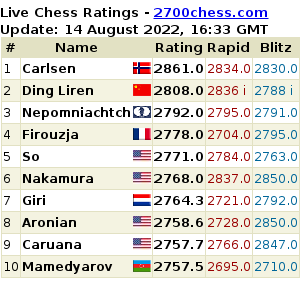 Top seed GM Gerhard Schebler was in 6th place after a shock defeat by the low-ranked woodpusher writing this article who, despite missing a mate in 4 starting with a spectacular queen sacrifice, still managed to bring the point home. CheckMate Bistro & Bar proved the perfect venue, with its chess theming and delicious food, and the beautiful owner/manager Khun Amy was on hand for the prizegiving ceremony.